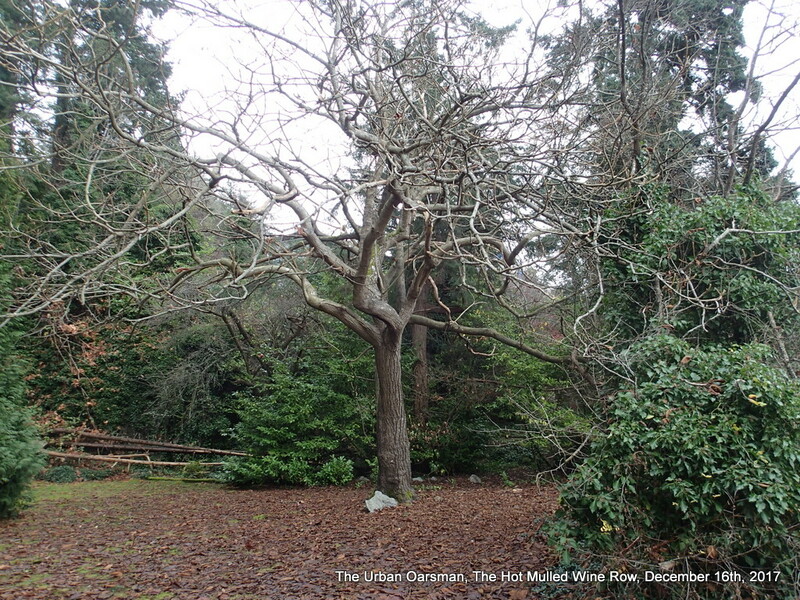 ← The Dundarave Forest of Miracles bonfire row. 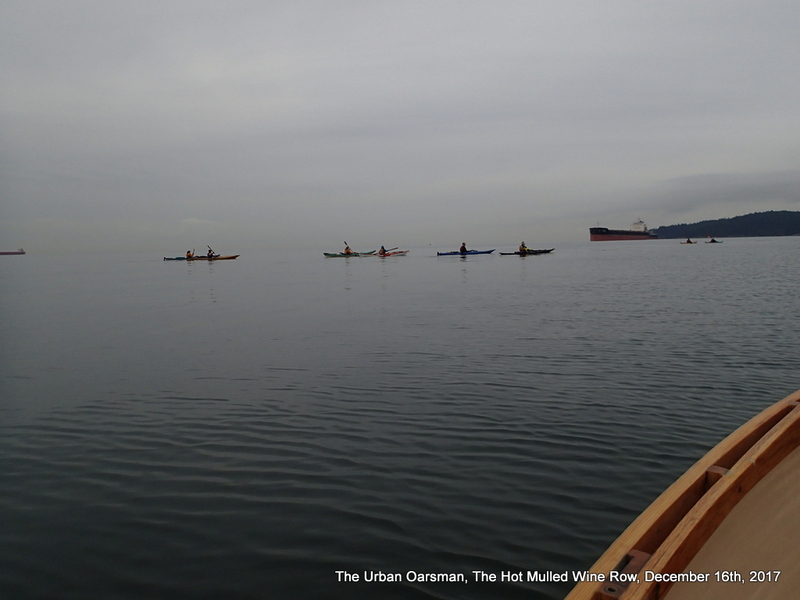 The Urban Oarsman goes on the December 16th, 2017 Hot Mulled Row to Sandy Cove with the Hollyburn Sailing Club and SKABC. 10am, Saturday, December 16th, 2017. Winds are calm. Cloudy and grey but no rain. 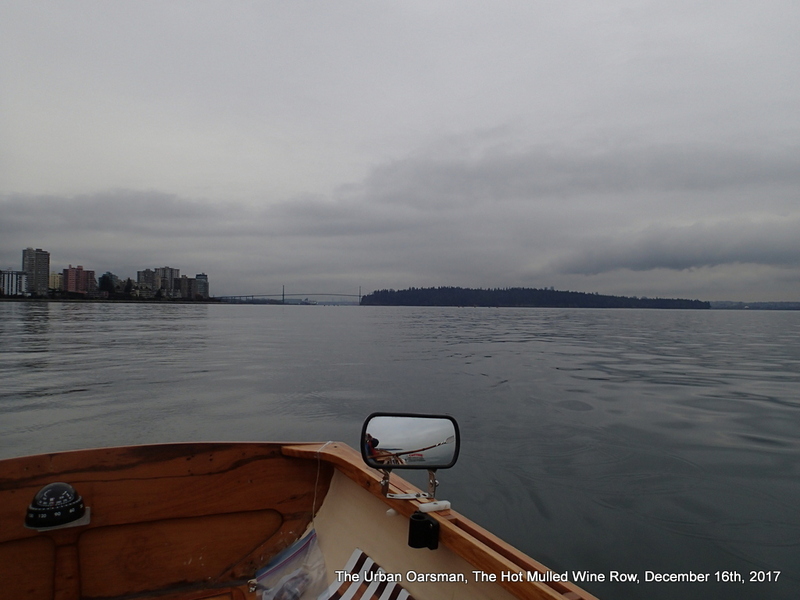 A good day to row. 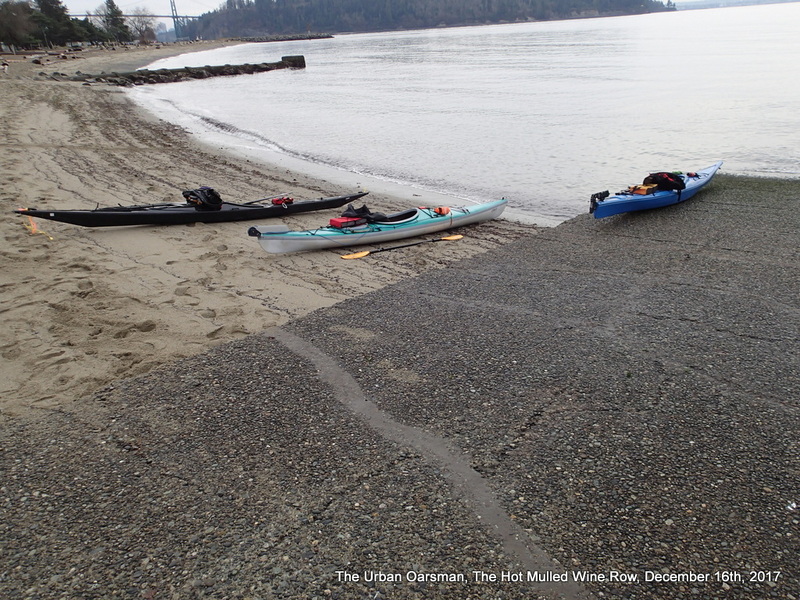 Not much of a change…Departure time is 10:00 and the next high at 3:19 is only 2.6ft higher. 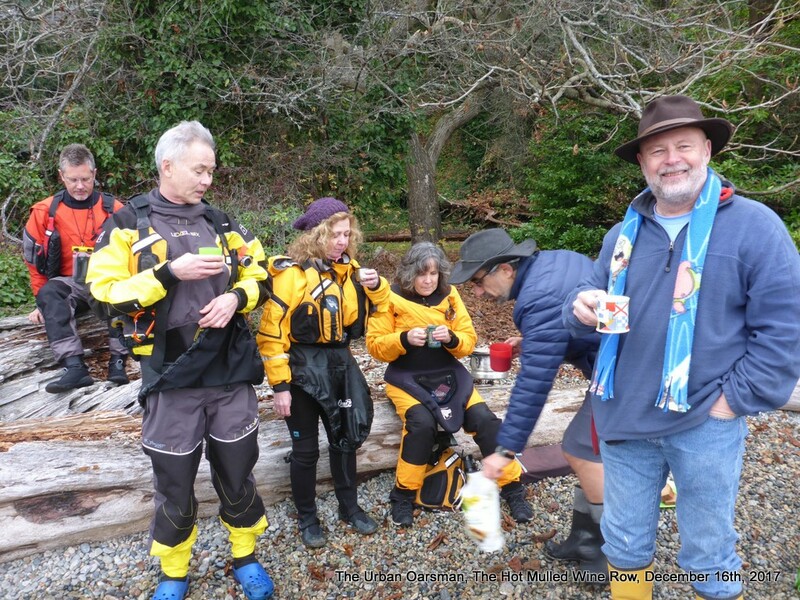 Gwragedd Annwn on the beach and ready to go on the Hot Mulled Wine Row to Sandy Cove. 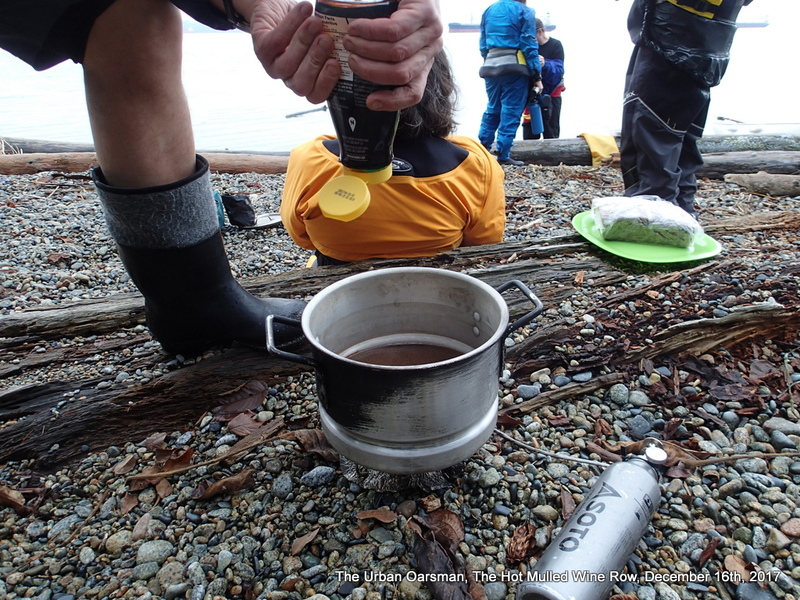 I have told our organizer, HSC’s new Kayak Captain, Maciej, that I will take the equipment necessary to make the hot mulled wine in Gwragedd Annwn. Maciej’s bag at the stern of Gwragedd Annwn. A little too big for his kayak. With Gwragedd Annwn, there is always room for one more. 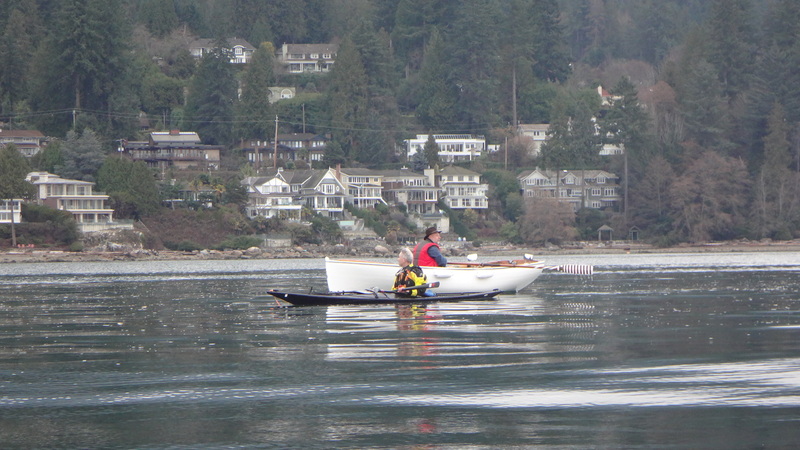 SKABC kayak fleet for the paddle. 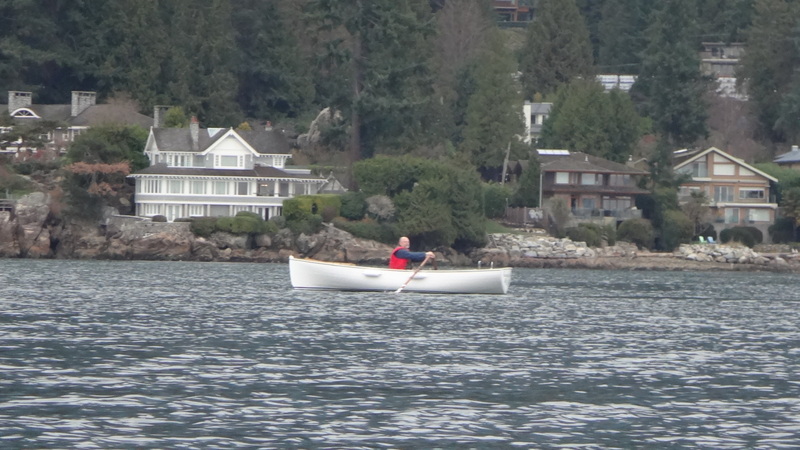 Because the kayaks are faster, I get a head start to Sandy Cove. 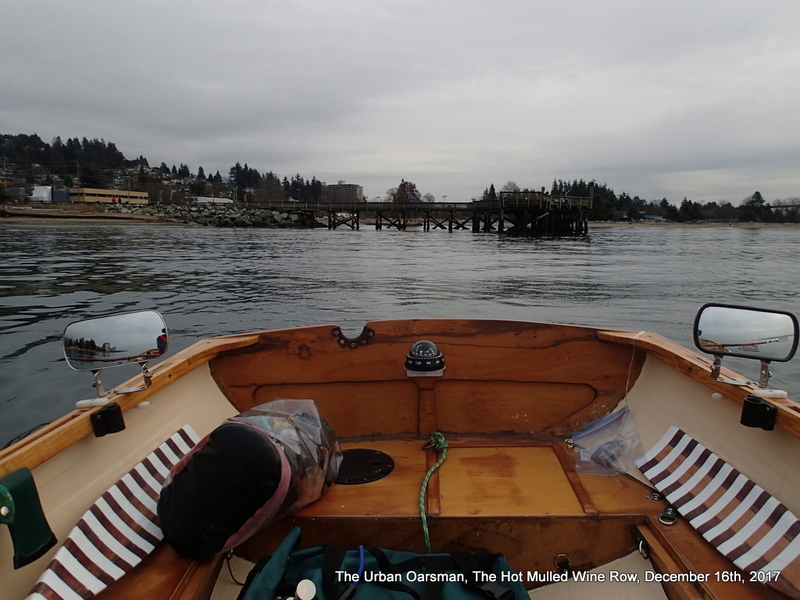 The oars are 18″ deep on the power stroke. Almost a 30° 60° 90° triangle to the water. 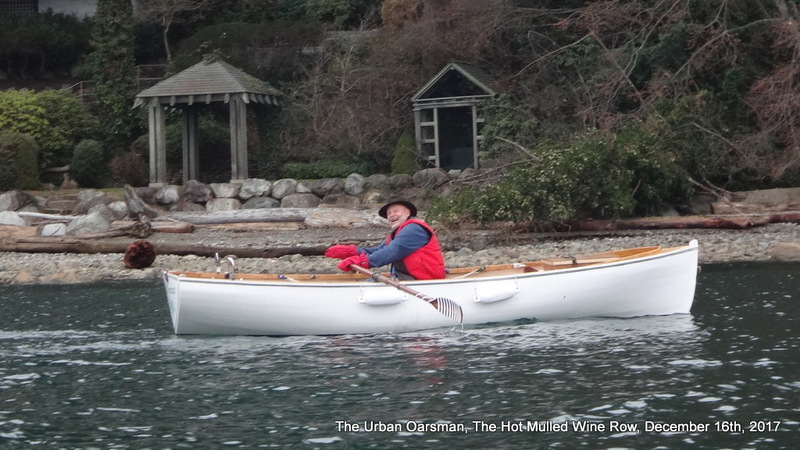 Somehow, I always seem to raise my right hand a little higher, probably from using oars a little too long . 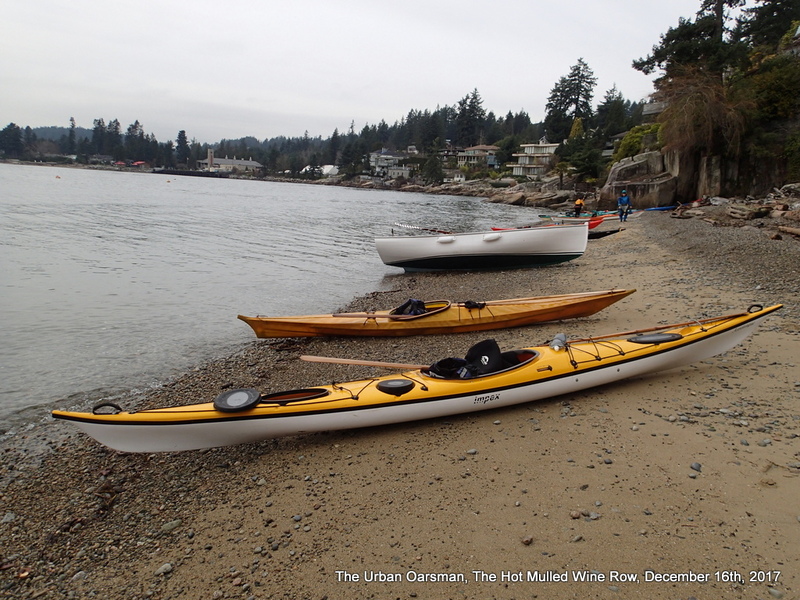 After I have left, the Kayak fleet assembles. It is pretty flat and there is almost no wind. A seal follows me out from the pier. I often wonder if the fisher-folk ever catch anything that is not stolen by the seals. The seal gives up on me and returns to the pier for easier pickings. A freighter enters the inner harbour. 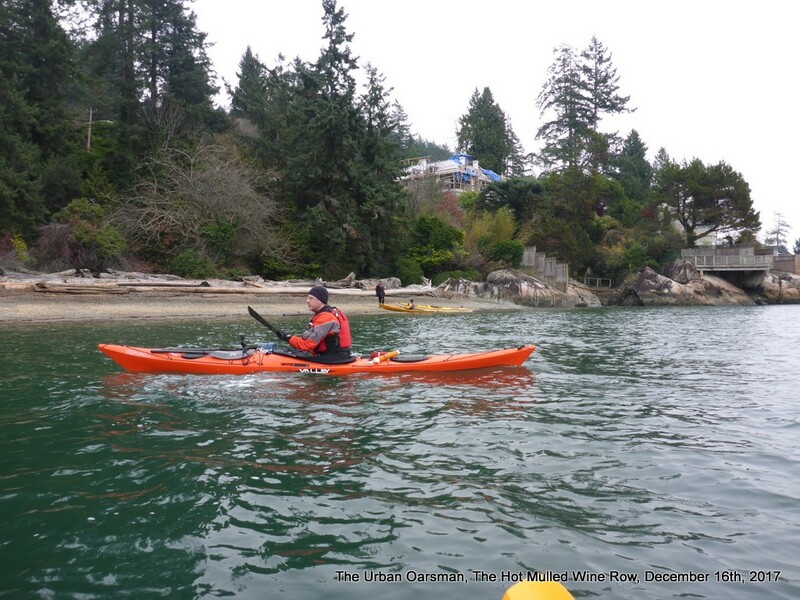 Port Metro Vancouver established new boundaries for Marine Restricted Area 1 (MRA1) the area around First Narrows. 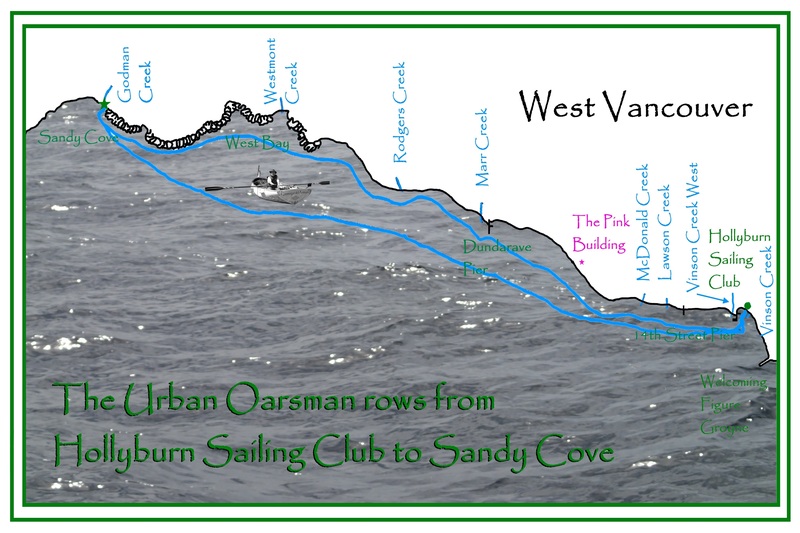 The portion of English Bay South of the Club is part of the Port of Vancouver and is an active shipping channel. 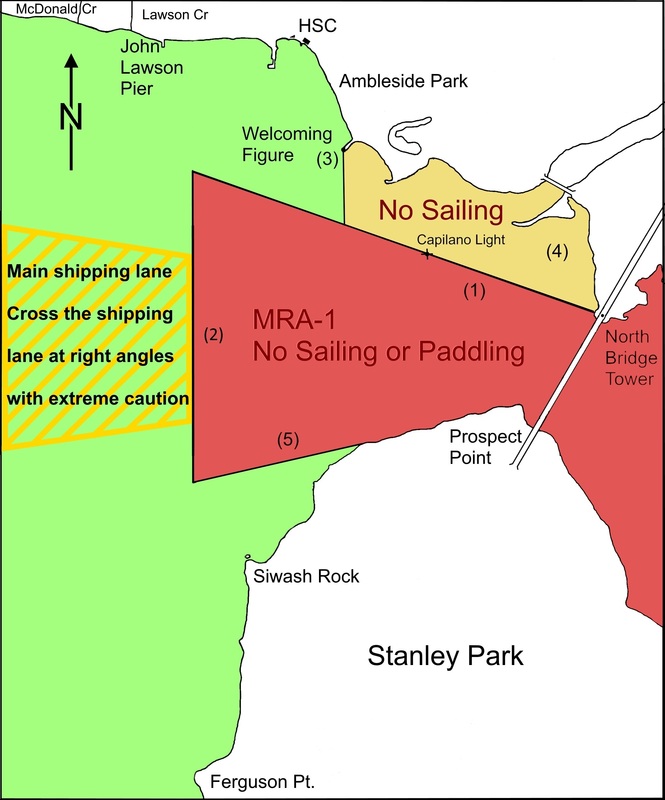 Do not sail or paddle south of a line (1) from the North Tower of the Lions Gate Bridge and the Capilano Light, or East of a line (2) True North of Ferguson Point. Do not sail East of a line from the (3) Welcoming Figure Groyne due South. 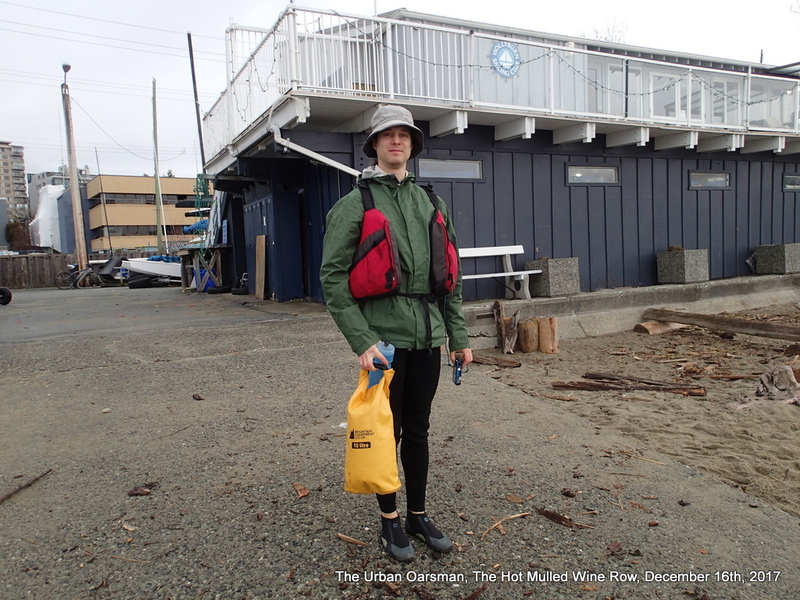 Paddlers may go to the Capilano River (4). 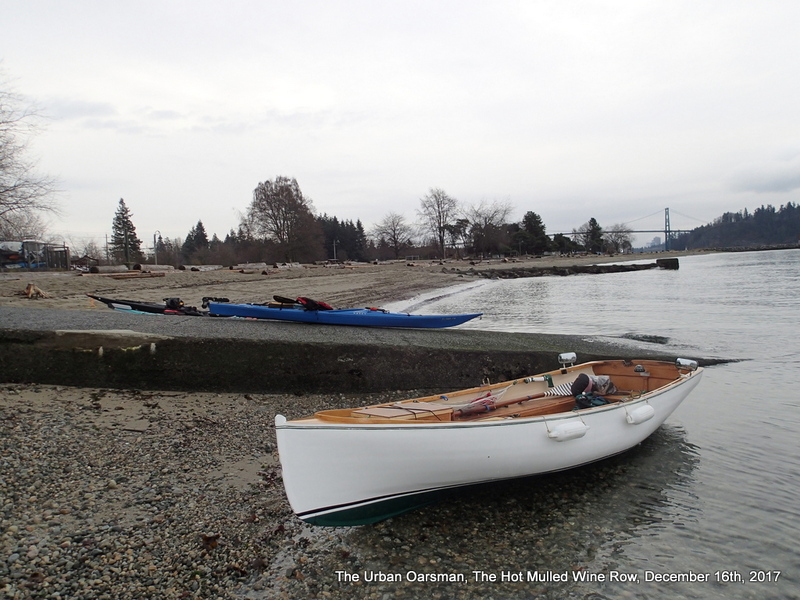 Do not sail or paddle North of a line drawn West along the Prospect Point shore (5). 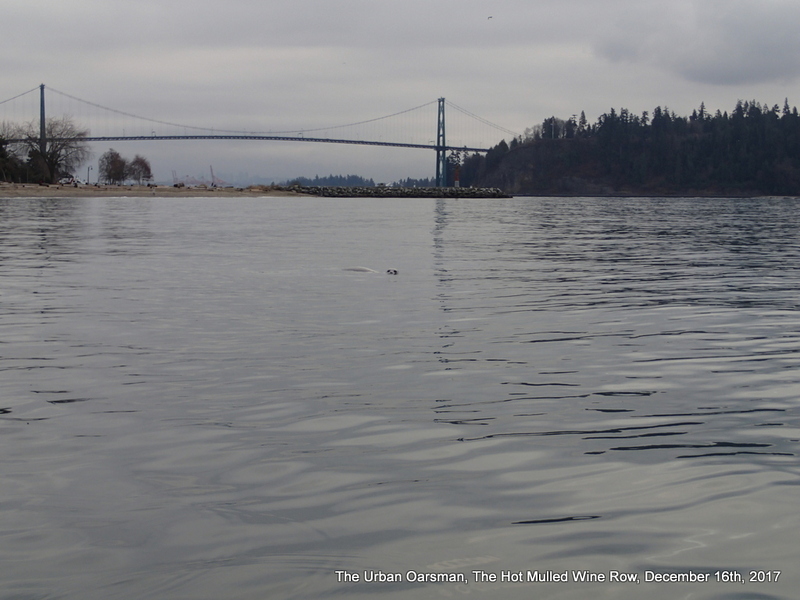 No non-motorized craft are allowed to cross under the Lions Gate Bridge. Do not sail East of the storm sewer outfall into the area marked by the “keep out” buoys during the swimming season. 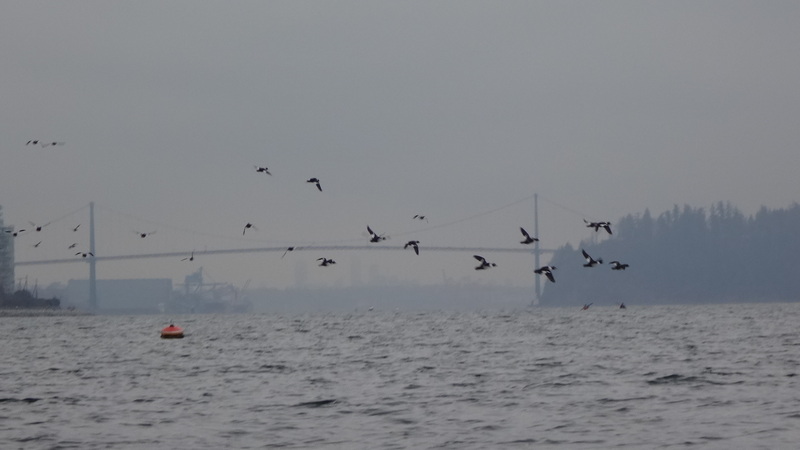 Stay well clear of the Ambleside Pier during light winds, strong tidal current and active fishing. 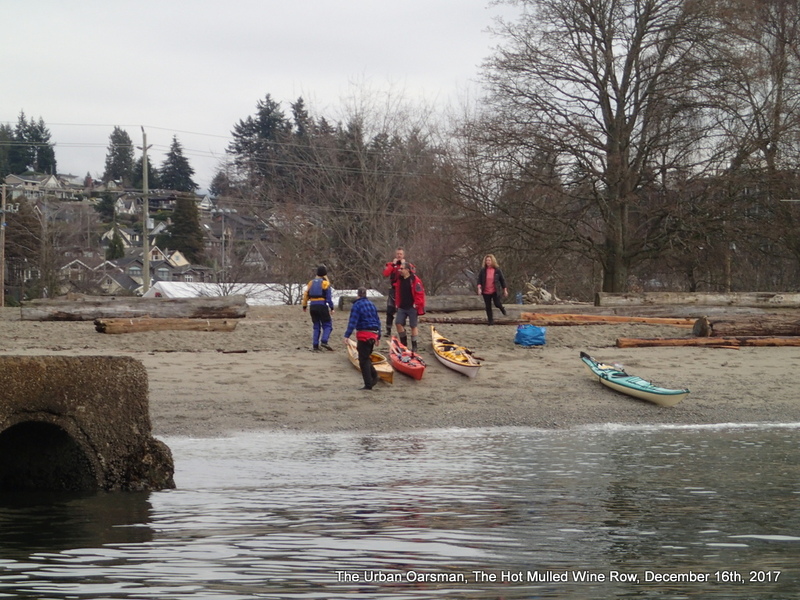 When crossing to the south of English Bay, allow ample sea room and cross West of John Lawson Pier. Cross the shipping lane at right angles with extreme caution. 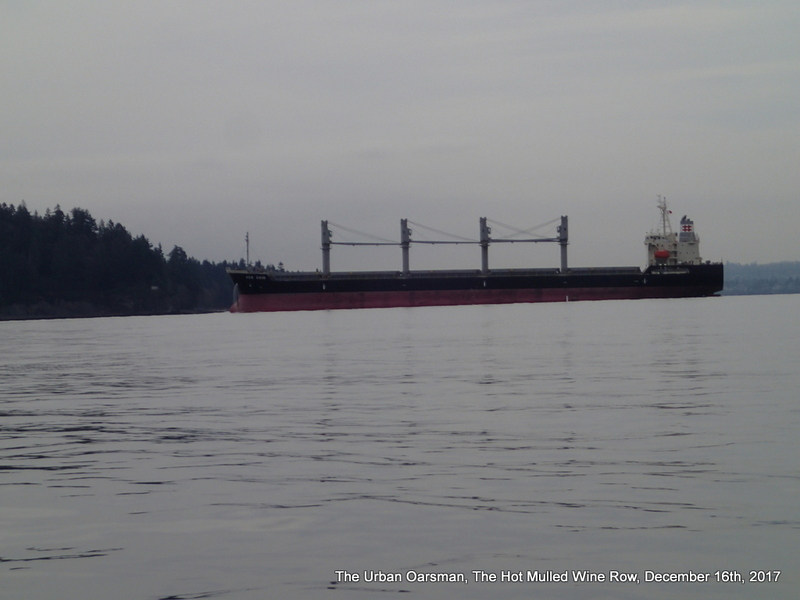 A freighter coming into the harbour takes twenty minutes or less to get to the bridge from off of Point Grey. Be on the look-out for vessels leaving the inner harbor – You have no right of way over commercial shipping vessels. 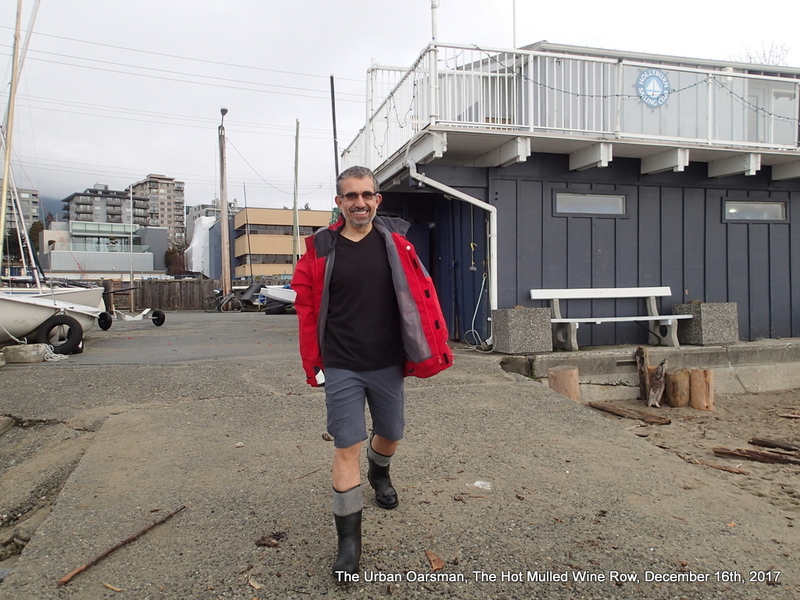 Vancouver Harbour radio is VHS channel 12. 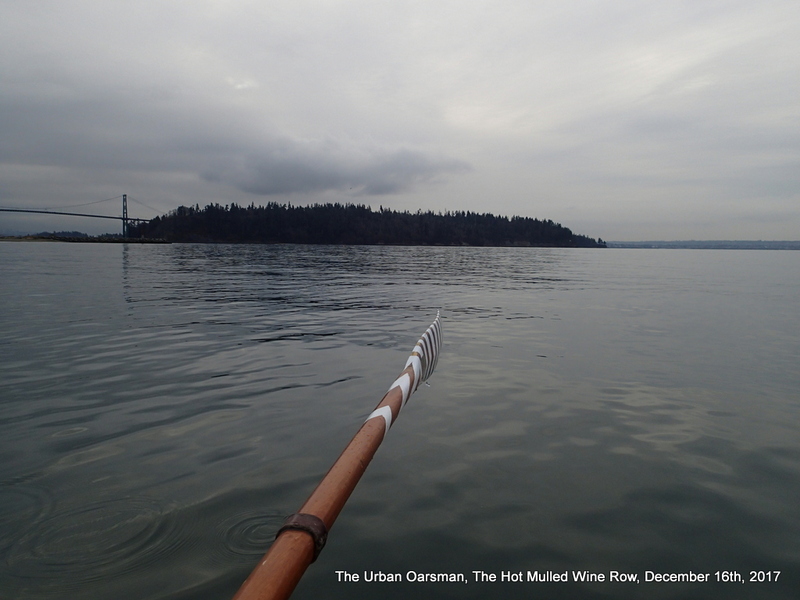 This row is a good time to try-out the new 15° offset oarlocks. 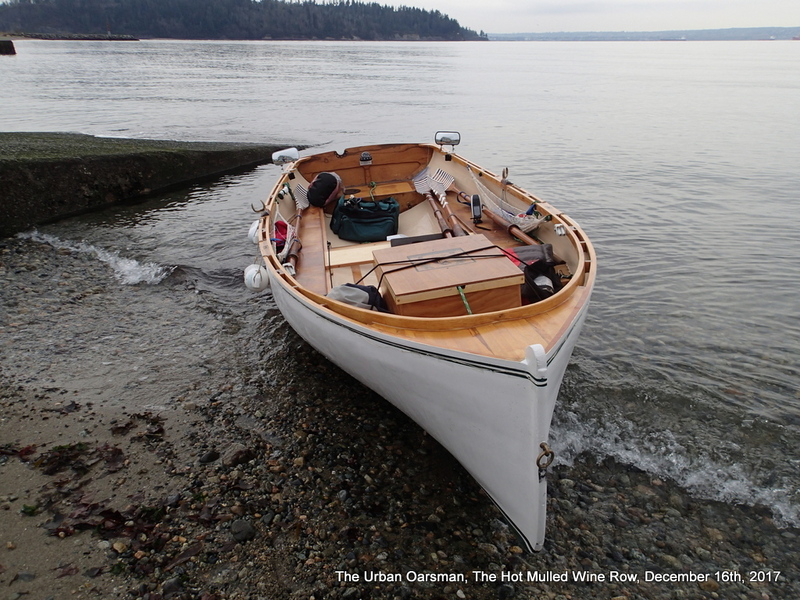 The idea is that during the “power stroke”, the oar is 90° to the oarlock horn. 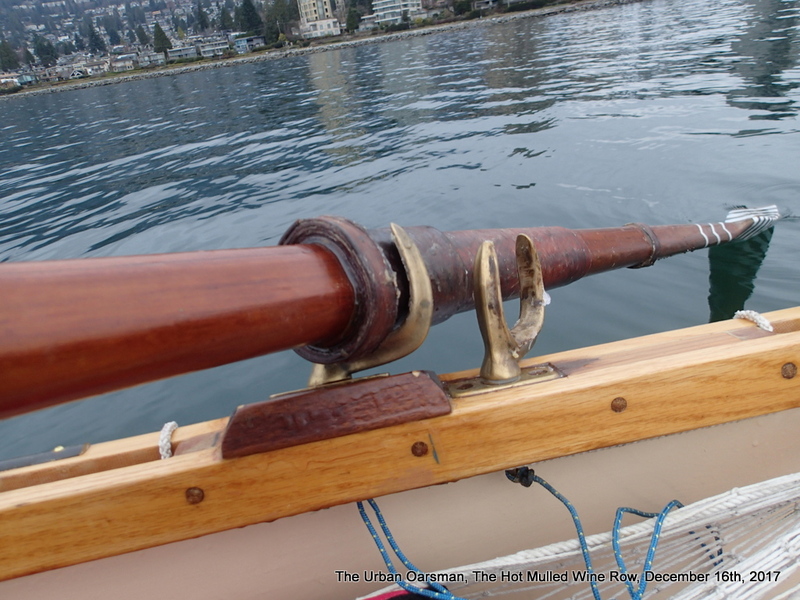 This is supposed to keep the oar from creeping inwards on each stroke and keep the oarlock socket/oarlock from “creaking” or “thunking” during the stroke. What I am finding is that the oarlocks still “creak” in the sockets and the oars bind in the oarlock during the recovery stroke. 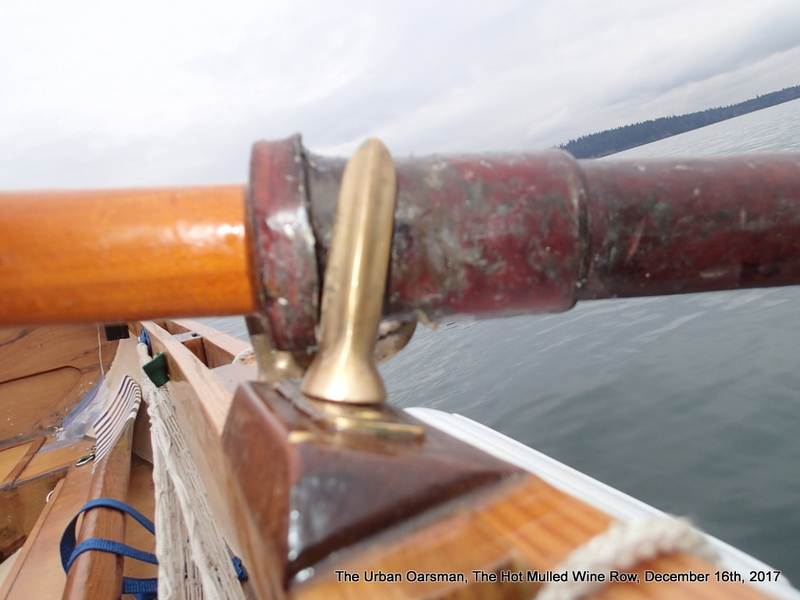 The horns “pinch” the leather collars and the oars are hard to raise out of the water, level with the gunwales. I have them well lubed with “Snowseal”, but, they are still binding. 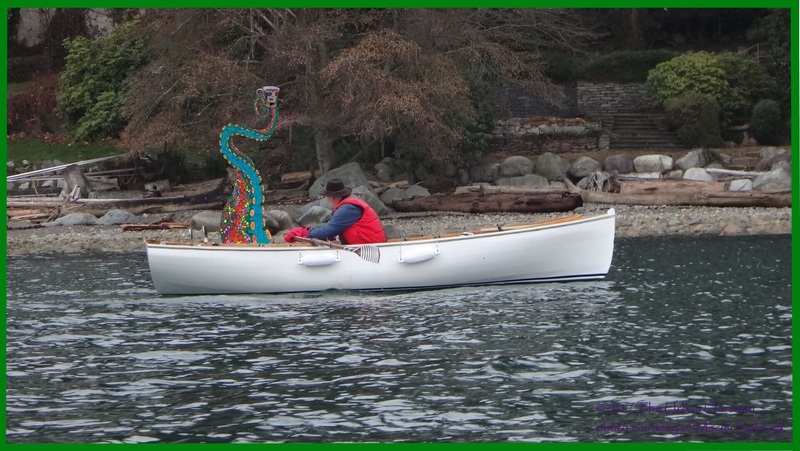 Maybe the 15°offset oarlocks are not a viable idea for Gwragedd Annwn. I still have the old sockets in place. 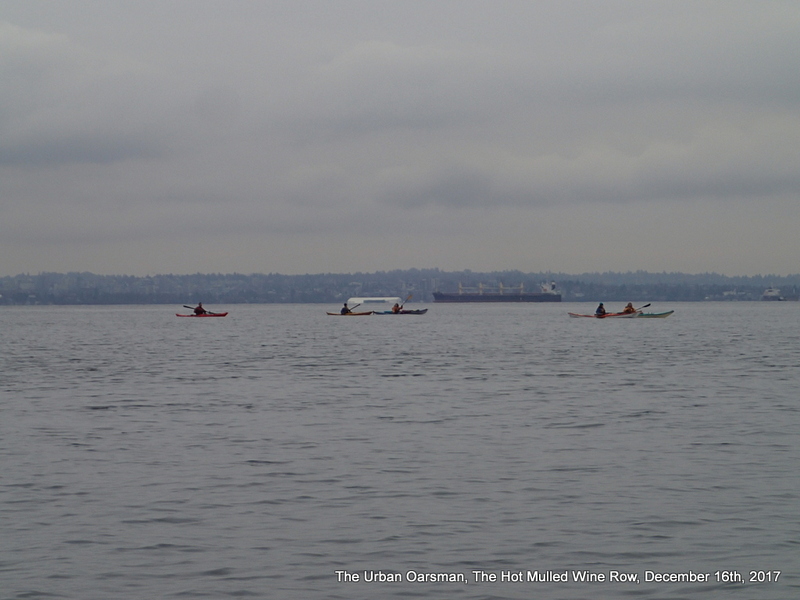 There are nine kayaks with me on this row (paddle for them). 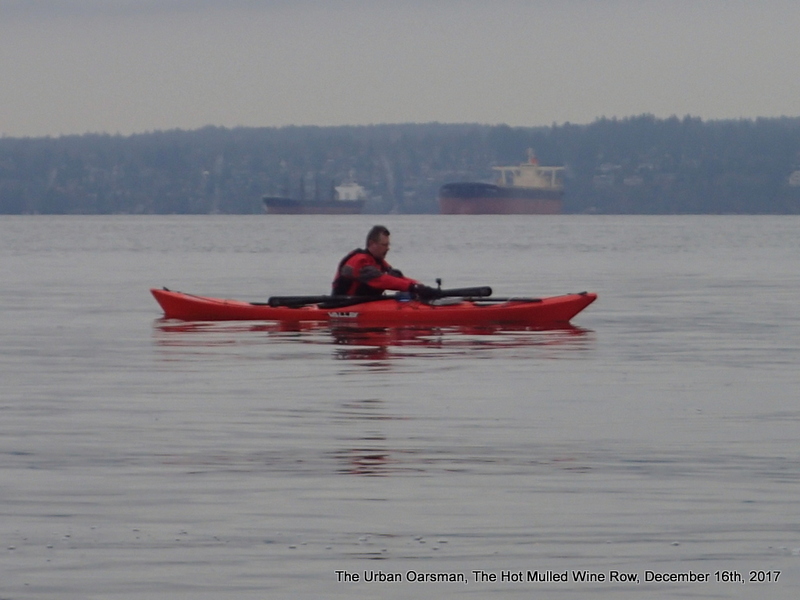 The Kayaks pass outside of me. 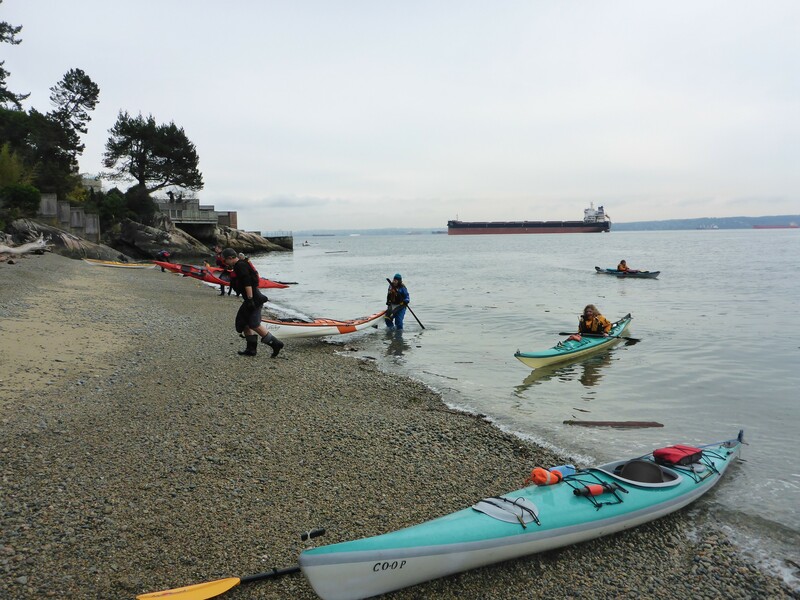 The kayak fleet heads for Sandy Cove. 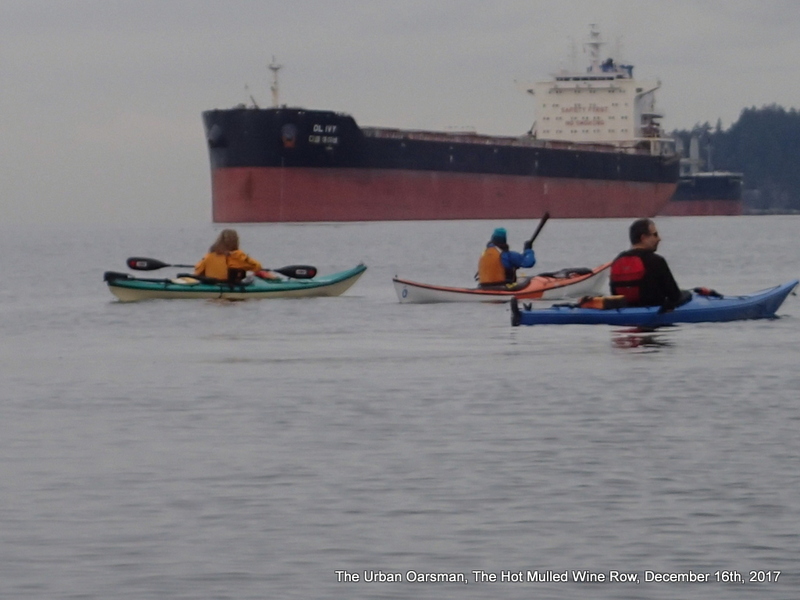 Two SKABC kayakers and a HSC kayaker with a freighter at anchorage 18 in the background. 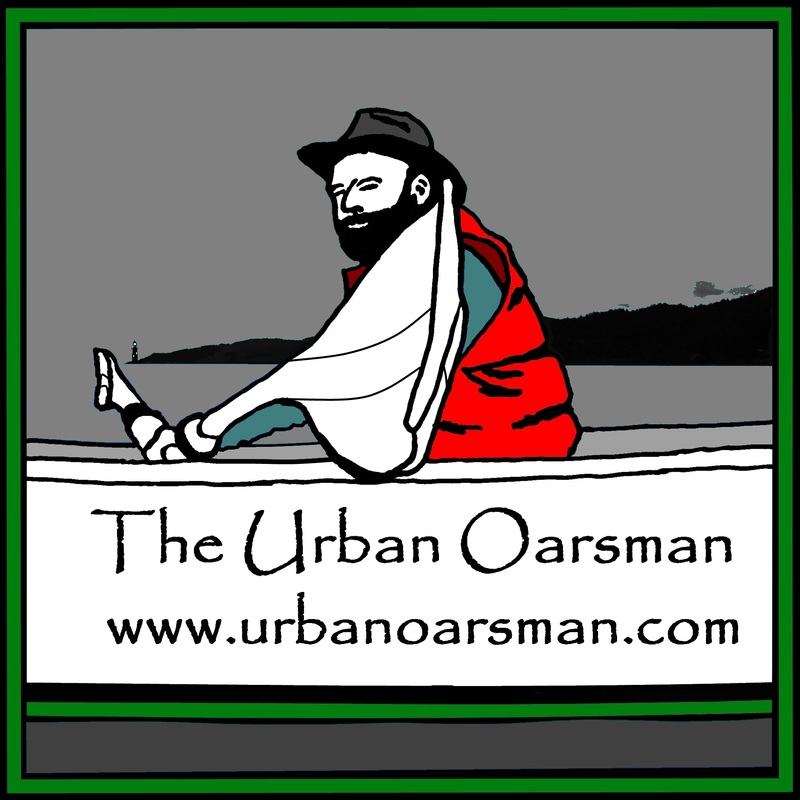 Gwragedd Annwn and the Urban Oarsman. Chatting about the thin-blade paddle. 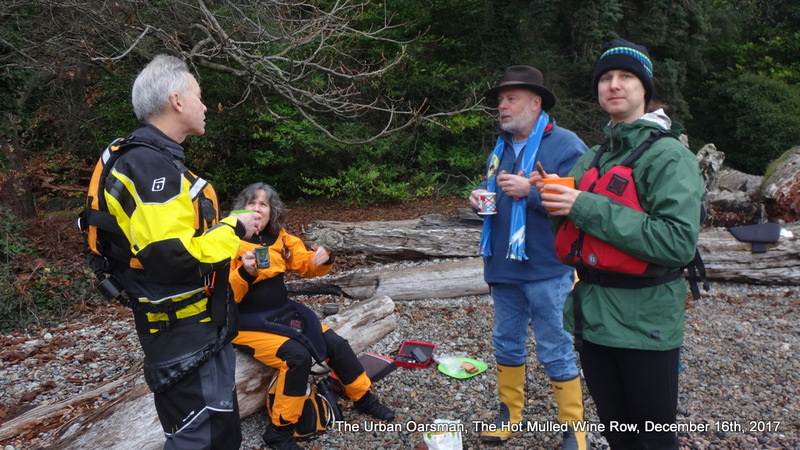 All ashore for the Hot Mulled Wine! 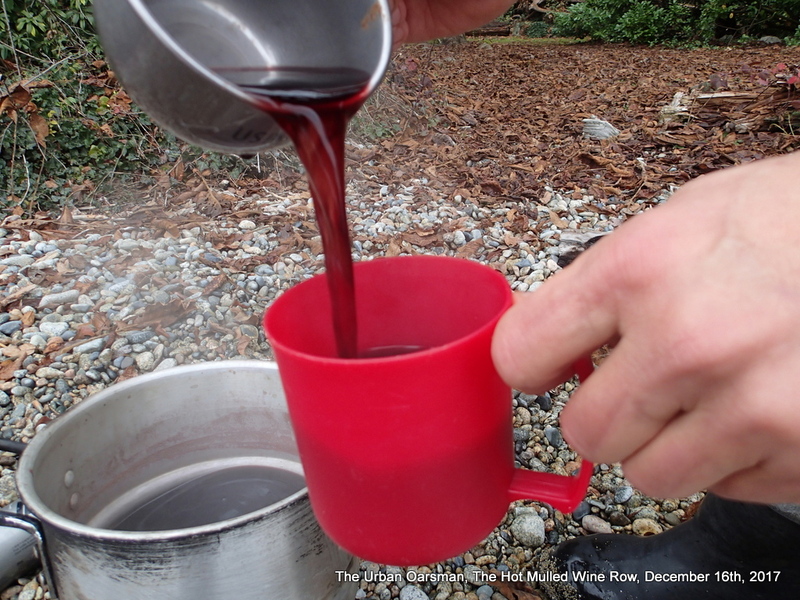 Maciej makes the mulled wine for the crew. 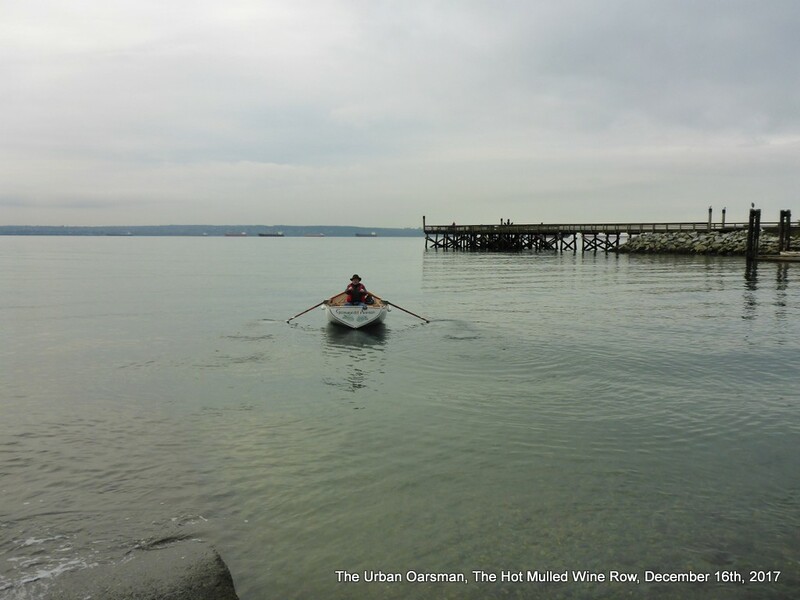 Lone Oarsman among the paddlers. The Mulled wine is quite a treat! 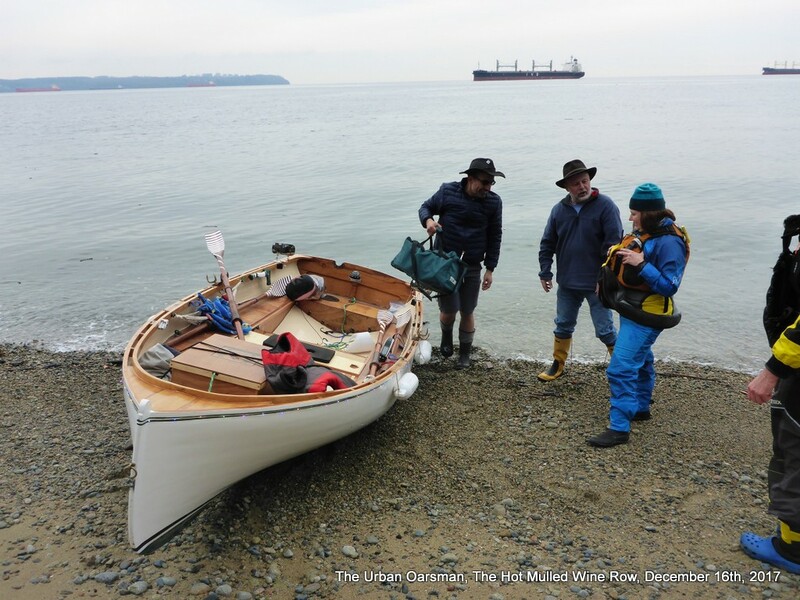 Loading up Gwragedd Annwn for the row home. I know that it is hard to see, but I have turned on Gwragedd Annwn’s Christmas Lights for the upcoming Dundarave Forest of Miracles Bonfire row. 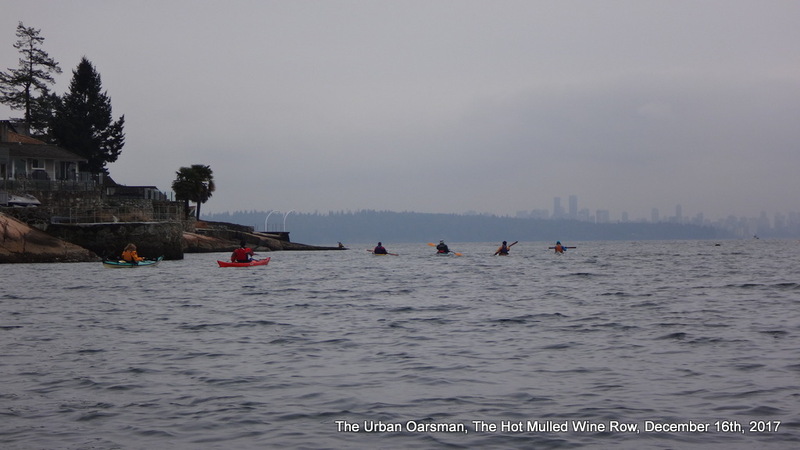 We leave just ahead of the Kayaks. 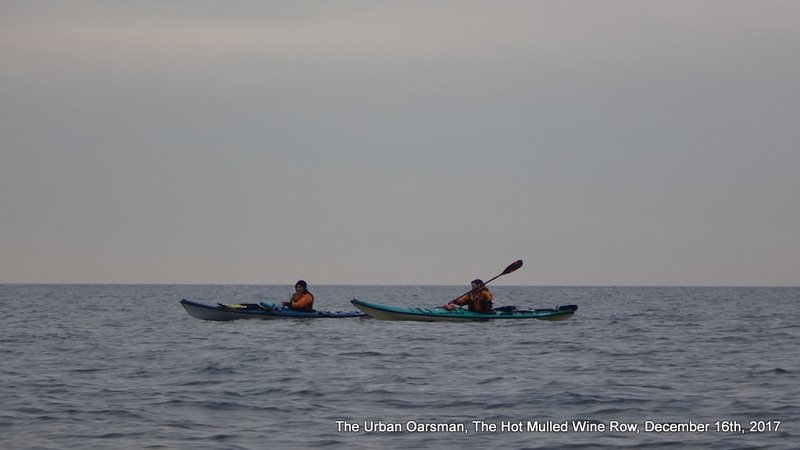 As usual, the Kayak fleet catches up to Gwragedd Annwn and passes us. Passed by Kayaks Again Again!!! 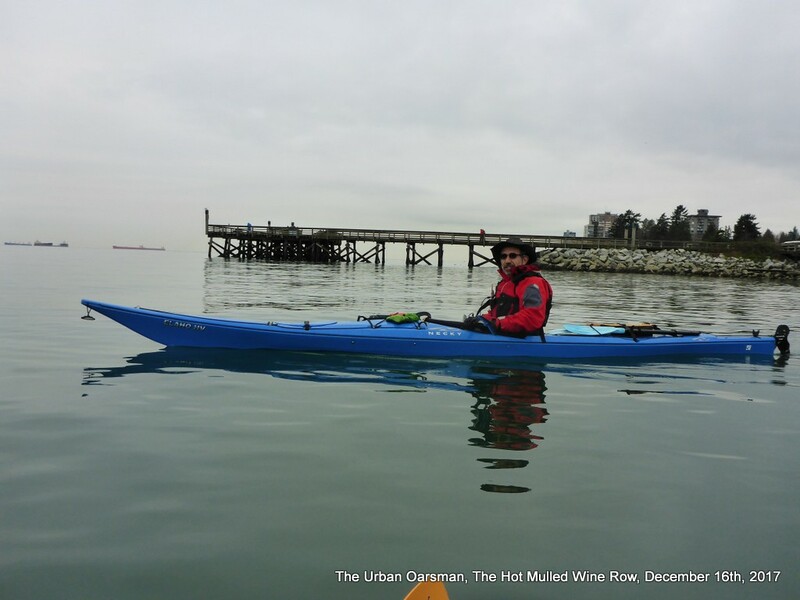 Kayaker Mike posted a video set to music of the paddle Click the picture to see! Nothing like a Commodore’s Mug of Mulled Wine with a friend. 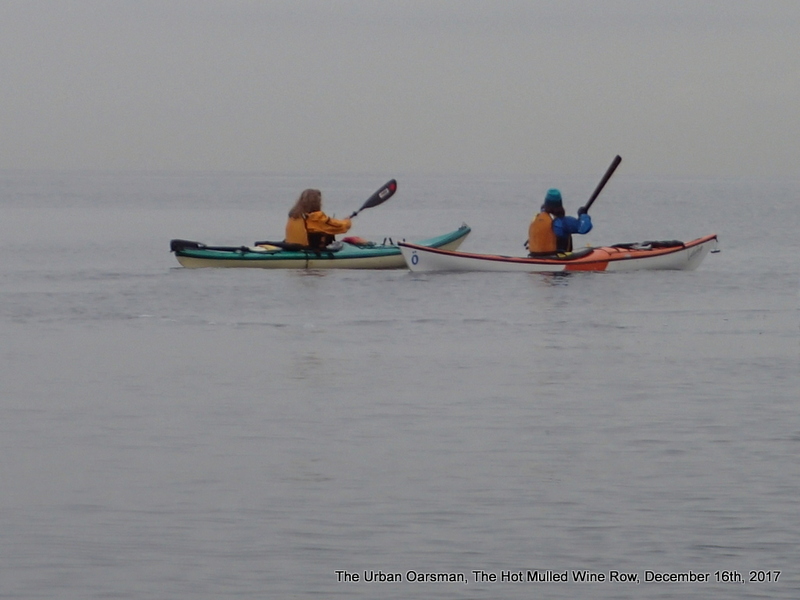 For the rest of the row, I stay close to shore. There is a North-East wind, and I stay in the wind-shadow of the shore as best I can. I end up putting on my windbreaker. The pogies keep my hands warm. 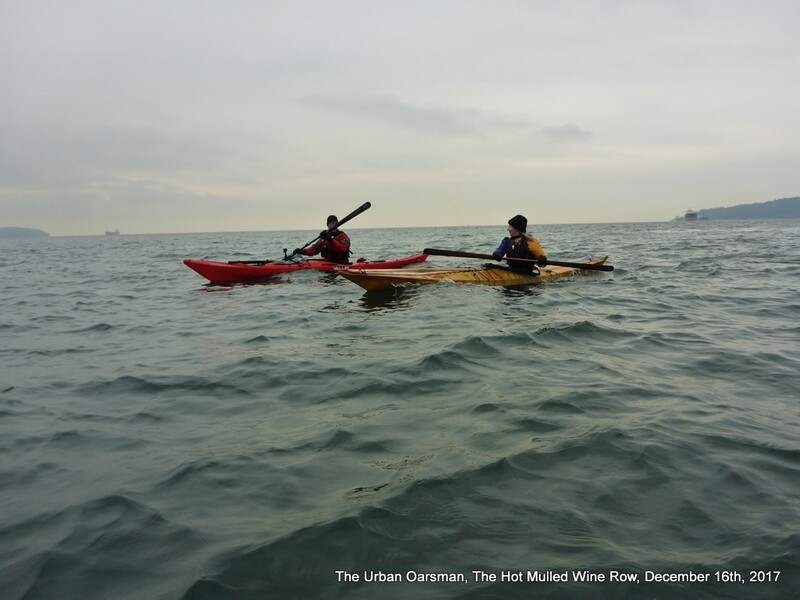 A great day spent with great paddlers.